The iPad and the Kindle have always had a curious love/hate relationship that can be enough to drive many users nuts. While they were expected to compete for users from the moment they were both on the market, the iPad depended on the Kindle for iOS app to deliver a great reading experience to potential adopters while the Kindle just didn’t even try to offer the same kind of tablet versatility. The iPad does lots of things quite well, the Kindle does one thing really well, and users of both devices like to read. Of course it’s at that point of overlap that problems arose. Amazon was making money, Apple wanted that money for themselves, and now there’s nobody really making much money. You can’t buy books through the Kindle app, the iBooks app is still not really something most people have any particular desire to adopt, and getting the Kindle Cloud Reader set up requires users to look outside of the Apple App Store. eBook acquisition is still perfectly doable, but it is a bit more of a hassle and that means some people just won’t bother. Enter Inkstone Software with what they hope will be the solution to many peoples’ eBook problems. The company has claimed that this is their way to help out the community that they have benefited so much from. Their new free iPhone and iPad app, called simply “eBook Search”, will allow users to peruse over 2 million free titles from all around the internet. Not only that, the app will allow users to select their reading app of choice and will then acquire their books in a compatible format, ending the hassle of maintaining multiple collections in multiple apps or converting hard to find titles to your preferred format. The attraction of such an application goes beyond convenience in acquisition of out of copyright “classics”. The developer claims to have allowed for discovery of free eBooks being offered by indie authors, and even popular fan fiction. They hope that this will allow readers who do not have a sufficient budget to allow for prolific reading in an environment where eBooks cost as much or more than physical books to indulge with less hesitation. If this is at all up your alley, it is definitely worth checking out. Not only will you be getting great literature that can be read on your iPad, Kindle, or whatever else you happen to have, but the more people take advantage of these types of offers the better things start looking for the future of eBooks. If authors are successful in gaining exposure through free eBook offers, more authors will be inclined to try similar campaigns. If readers are loathe to purchase high priced eBooks in the Kindle Store because they can find equally good titles without spending the money, maybe publishers will start getting the message. If nothing else, the worst that can happen from giving it a chance is the loss of a few moments of your time. Fascinated as we are by the platform here, Kindle users are far from the only group to be inconvenienced by Apple’s in-app purchasing guideline enforcement. Apple built the popularity of their iPads on the availability and functionality of apps being developed by other parties, only to change their minds once an ownership base was established. Certainly totally within their rights to do, but more than a little unpleasant for both the app developers and users who are accustomed to better treatment. Amazon has retaliated by releasing the Kindle Cloud Reader, which completely bypasses the iPad’s App Store, and they aren’t the only ones looking at the options. Kobo, the leading international Kindle competition, has announced plans to follow in Amazon’s footsteps with an HTML5 Reading app of their own. 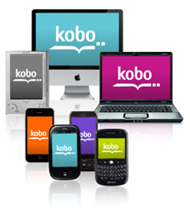 When it is complete, users should be able to read their Kobo purchases on any device with a web browser, effectively bypassing Apple’s restrictions. You should even be able to save the app to your iOS device Home page for seamless integration. As with the Kindle Cloud Reader, users will be able to sync their collections for offline browsing, which addresses the largest possible shortcoming of a browser-based solution to the problem. The only major problem with apps like these is the loss of Apple App Store exposure. To effectively bypass Apple’s fees it is important to already have a substantial user base, since random discovery is far less likely. Existing Kobo customers will have little problem, and will likely welcome the chance to make use of the store again without the price increases that would have been necessary to profitably continue operation within Apple’s guidelines. New users will almost certainly be harder to come by. We can expect to see continued support for the Kobo iOS app as a result, for exposure’s sake if nothing else. This is not the only obstacle that Kobo has had to face recently. With the end of Borders, their US distribution partner, exposure will be harder to come by in the current largest eBook market. Although they remained separate companies, Borders was directly linked to the Kobo eReader in the minds of consumers for having been the first ones to bring to to the US. Regaining that kind of presence will be a slow process. Outside the US, the Kobo Store is reported to have perhaps the best selection of eBooks currently available. Due to ongoing licensing right disputes, the Kindle Store is not yet always able to consistently provide the same level of service that Kobo has managed to over such a large number of markets. The release of this HTML5 app should do them a great deal of good in expanding their lead, given the number of Tablet PCs hitting the market recently. This may allow readers to enjoy the service even in countries where localized selections are not currently available and shipping the Kobo eReader itself is problematic. We can expect the official release of the new Kobo app later this year. The status of the iOS Kindle App has been in question for a while now, after Apple’s announcement that they were going to begin enforcing some highly restrictive app store regulations. eBook retailers would have been forced to offer all products that could be accessed through their app as a purchase through the same app and at the same price that these eBooks were sold elsewhere. Bad news for companies like Amazon that often only make 30% on a given eBook sale, since Apple gets 30% of everything sold through their app store. It was beginning to look like it would not be worth their time to continue maintaining an iOS presence. Fortunately for lovers of the Kindle for iOS, Apple had an incredibly small and clearly grudging change of heart. 11.13 Apps can read or play approved content (magazines, newspapers, books, audio, music, video) that is sold outside of the app, for which Apple will not receive any portion of the revenues, provided that the same content is also offered in the app using IAP [in-app purchase] at the same price or less than it is offered outside the app. This applies to both purchased content and subscriptions. 11.13 Apps that link to external mechanisms for purchases or subscriptions to be used in the app, such as a “buy” button that goes to a web site to purchase a digital book, will be rejected. 11.14 Apps can read or play approved content (specifically magazines, newspapers, books, audio, music, and video) that is subscribed to or purchased outside of the app, as long as there is no button or external link in the app to purchase the approved content. Apple will not receive any portion of the revenues for approved content that is subscribed to or purchased outside of the app. Essentially, Amazon and the rest of the eReading crowd can continue to let users read their books and shop through the website so long as they don’t have a direct link away from the app to make sales. Sadly, this comes too late and does far too little for some app providers. A number of apps, including the popular iFlow eReader, felt compelled to shut down after Apple essentially destroyed the viability of their business. This was clearly supposed to be a way for Apple to take all of the customers who came to their devices at least in part for their eReader usability and cut them off from their providers of choice, thereby increasing the user base of the less than successful iBooks store. If it had come a year ago, I think it might even have managed to go through. Right now, though, we have Kindles and Nooks that are affordable enough to supplement an iPhone or iPad. Google’s Android is taking off and tablet choices are increasingly plentiful. Most importantly, people are becoming more aware of the restrictive nature of Apple’s business practices. They would have lost customers over the move. It isn’t a big change in the rules, and it still gets in the way, but at least it shows that Apple can’t completely disregard the opinions and demands of their customers and developers without backlash. So, Apple vs the Amazon Kindle platform. I brought this topic up a few days ago, I know, but it bears repeating now that representatives from Apple have come out to clarify their position and put an end to the speculation based mainly around the rejection of Sony’s Reader app submission to the Apple app store. For those who haven’t been following the situation, Apple has apparently decided to start enforcing some of the rules regarding in-app purchasing that they have seemed uninterested in until this point. As a result of this, Sony was unable to get its iOS Reader app published, and Amazon’s Kindle app, along with all the other eBook readers out there linked to a store, may be in some pretty serious trouble. Up until now, the way things work has been for the Kindle app to send you to the Amazon.com website whenever you want to pick up something new to read. It results in convenience for users and neatly bypasses the need to work within the app store infrastructure. That part, I doubt Apple minds. What they are objecting to is the fact that these sales, going through the website as they do, fail to make Apple any money. So, new restrictions. Now, since Apple wants a 30% cut and Amazon is making as little as a 30% cut as it is on many sales (specifically those coming from its self-publishing authors), many people are foreseeing a problem. Heading off many of the potential solutions that Amazon could have used to address the new restrictions, Apple reps have made clear that there can be no linking to outside stores from inside an app anymore, and definitely no marking up of in-app sales to dissuade their use. Basically, anything you’re selling to users of your app had better be available through the app so that Apple can get its cut and it must cost the same or less than in any other store you operate. Not good news for the Kindle platform. It remains to be seen how Amazon is going to respond to this. There really seem to be very few options. The question may come down to a matter of how much of Amazon’s eBook sale numbers comes through Apple devices. I would imagine it would have to be a large percentage to persuade them to raise prices across the board for eBooks, which is what would have to happen for Apple’s percentage to be accounted for. But it is also highly unlikely that the numbers could be so low as to make pulling the app completely a viable option. Simply forgoing their own percentage of the price on a product that many believe is already being sold at cost or below is the least likely scenario of all, in my opinion. Short of withdrawing the app, it seems like any compromise in favor of Apple will have a negative impact on users of Amazon’s own Kindle owners and that seems like a silly choice to make unless it’s overwhelmingly necessary. Maybe this is a move intended to bolster Apple’s unimpressive efforts to take over the eBook industry’s distribution network the way they have that of the music industry, but if so then at best this will be an uphill battle that will earn them no small amount of ill will. With the eReader capabilities of the iPad in particular being a selling point for many people, all Apple may be accomplishing here is diminishing the value of their devices by causing problems with one of the most popular apps they have seen to date. Proving once again, in case we’d forgotten, that there’s more to the Kindle as a platform than simply the great eReader hardware, Amazon(NASDAQ:AMZN) has upgraded their software for the iPad, iPhone, and iPad Touch to include audio/visual integration in eBooks. The Kindle Store now includes a section labeled as “Kindle Editions With Audio-Visual” that highlights these new products. Right now the pickings are understandably slim, it being a new type of product, but already there are travel books including the popular Rick Steves: Paris, Rose’s Heavenly Cakes for the bakers among you, a copy of Knitting for Dummies that actually shows you on-screen what to do, and more. Also, while it’s not my hobby I would imagine that bird enthusiasts will get far more out of the audio-enabled Bird Songs: 250 Northern American Birds in Song now that there’s an edition that plays back what each of these songs sounds like. You don’t have to be an enthusiast to know a good idea when you see it. This is an interesting idea that will likely go a long way toward keeping the Kindle software on top in the portion of the eBook customer base that relies on Apple(NASDAQ:AAPL) for all their media consumption needs. The Kindle itself, of course, will not be receiving this functionality on current devices, but it does raise some question about the future of the hardware. Will Amazon be putting a video-capable screen of some sort on a future upgrade? Right now most signs point to a negative response, but long-term options are always a possibility. eInk types of displays are always evolving and who wouldn’t want to be able to integrate some form of A/V experience if it were possible without sacrificing the superior screen and battery life?